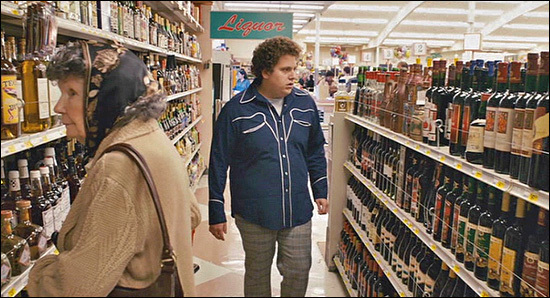 The most memorable moment in "Superbad" is, no doubt, the scene in the liquor store. 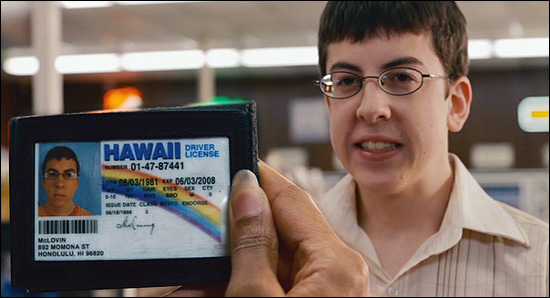 attempts to buy $100 worth of alcohol, sporting a fake ID with a single name: "McLOVIN". 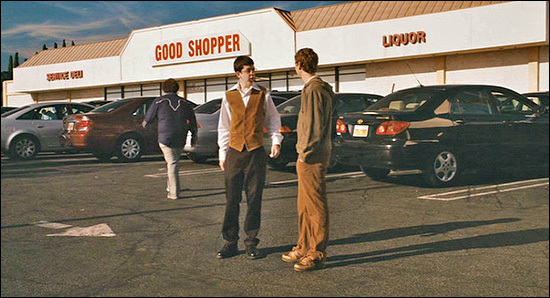 In the middle of his attempt, the store is robbed, and "McLovin" is punched out by the robber. and take the kid on a wild tour of the city in their squad car. in a small strip mall at 1700 Victory Blvd, in Glendale, CA. north of the Los Angeles Zoo and just east of the L.A. Equestrian Center (both in Griffith Park). parking lot along Victory Blvd, in front of the liquor store, near a yellow locksmith kiosk. but he chickens out after he imagines being murdered by the store's security guard. 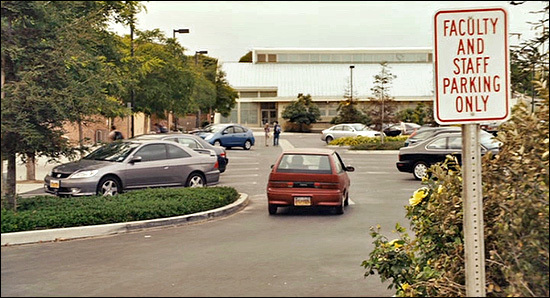 "Jon's Market", at 1717 W Glenoaks Blvd, in Glendale, CA. 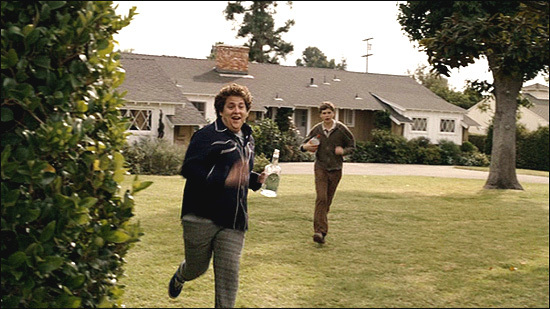 17200 Rayen Street, in Northridge, CA, just east of Louise Ave.
where they filmed the party house and the police chase scenes. 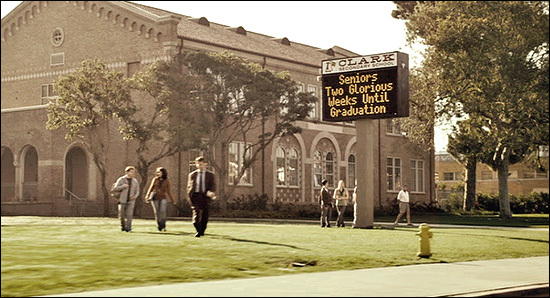 at 640 Main Street, in El Segundo, CA (the same high school attended by "Joan of Arcadia"). El Segundo is just south of Los Angeles International Airport (LAX), and north of Manhattan Beach. towards at a matching brick school building just south of the main building. 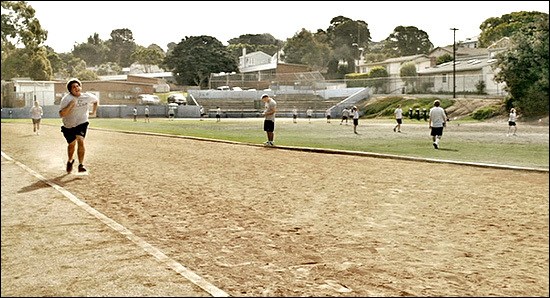 school's main (oval) track, behind the south grandstands. 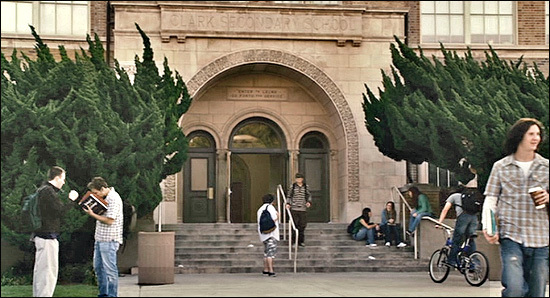 (above) was shot in a small parking lot on the south side of El Segundo High. In the photo above, the camera is looking north from Mariposa Ave, just east of Standard St.
to the faculty parking lot, looking west up E. Mariposa Avenue (just east of Standard St). 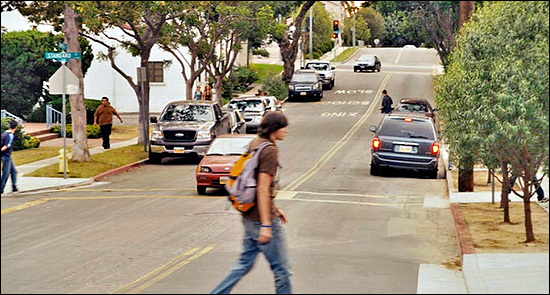 After parking in the faculty lot, Seth and Evan walk across to a mini-mart to get Seth's "Red Bull". 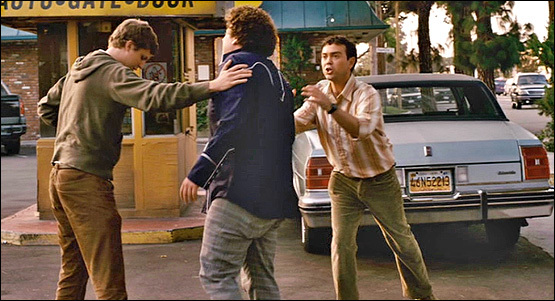 accosted by a student who spits on Seth, and tells him he can't come to his party. of Overland & Braddock Drive ...just two miles north of the Fox Hills Mall.